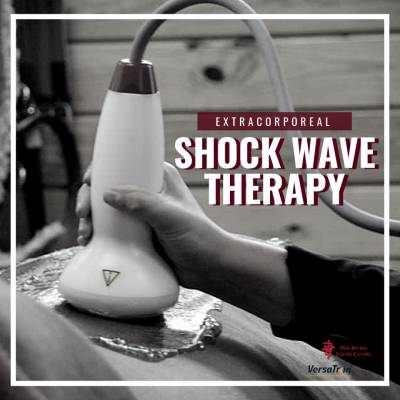 Home > Horse Care > Health Blog > Alternative Therapies > Shock Wave Therapy For Your Horse’s Back? Yes! Mid-Rivers has been treating patients with PulseVet Shock Wave therapy for over 5 years and the improvement we are seeing in back health is only second to the results we see treating ligament and tendon issues. The central nervous system, housed in the spinal column, controls the entirety of body functions. The signals from the brain are transmitted through the central nervous system to control every part of the body from cells, organs, soft tissue, and movement. Without question, a healthy back improves the overall health of the horse. To that end, we are now treating some patients 1-2 times a year as part of their yearly maintenance routine. Why? Like joint injections, it helps to maintain overall health of the back and spinal process. By maintaining the back we can improve the overall freedom of movement which translates to improved gaits, overall health, and attitude. Shock wave therapy has become an integral part of treating back pain and a cornerstone in our sports medicine program. Owners are recognizing the benefits and it’s quickly becoming an important part of may horse owners’ routine care and maintenance as they see improvements in their horses’ overall health and performance.